iNET image, Inc. expands it's local service area to include Southern Mississippi. iNET services the entire continental United States online. Our customer base ranges from coast to coast. Up to now our local service has been limited to Souther Louisiana. Local referring to in person meeting with sales reps. We are happy to announce that this area has been expanded to include Southern Mississippi (MS). The communities that are included are Bay St. Louis, Biloxi, D'Iberville, Diamondhead, Gautier, Gulfport, Ocean Springs, Picayune, Past Christian, and Waveland. The iNET RealTime Content Management System version 7.4 features numerous ease-of-use upgrades and automatically produces a Mobile Friendly mobile website. new snippet feature allow you to insert snippets to any page on the site. Example: Embed Google maps, YouTube videos, Facebook content, etc. new optional app for an automated customer comment interface that allows your customers to submit comments online which will be stored in a temporary data base until you "Approve it for display on the site", "Hold it", or "Delete it "
These are just a few of the many updates in the totally new version of RealTime. The iNET RealTime Content Management System version 7.3.5 features numerous ease-of-use upgrades and automatically produces a Google Mobile Friendly mobile website. Google has developed a new set of standards for what they describe as "Mobile Friendly". These standards are for smart phones mainly. As of the 21st of this month they are going to start using their new ranking algorithms to rank search results that are queried using smart phones. Any website built before 2014 will not be compliant with their new standards. This does not mean that the site cannot be viewed on a smart phone or tablet. What is unclear at this point is what effects this will have on search rankings by Google. Below is a link to Google’s announcement dealing with this. The solution to bring any site powered by iNET RealTime up to Google’s new mobile friendly standards is to upgrade to the latest version 7.3.5. This version of RealTime automatically creates a mobile website in addition to the existing website. The mobile website and regular website are both managed by the same RealTime interface. The new system determines what device the visitor is using and displays the compatible files. Example: if you visit the website using an iPhone or Android smartphone it will serve the mobile website, but if you visit the site using an iPad, Android tablet, Mac computer or PC it will serve the full website. If you have any other questions concerning this issue give us a call. iNET image, Inc.'s Photo Gallery Plug-In allows you to organize and showcase your company's work, events, photos, services and more. New in RealTime Version 7.3.2 is the 1 Photo Administration Feature which allows you to add a single picture. The system automatically generates the Thumbnail, Midsize, and Large views. It's simple, select a category, a picture on your computer or tablet, give it a name and click the "Add Button". That is it your done! The picture will instantly appear on your website in a thumbnail, midsize, and large view. In addition it will automatically be added to the slideshow. Visit www.inetimageinc.com/rt_gallery.html for more information. 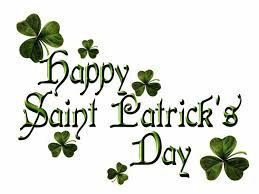 Happy St. Patrick's Day from all of us at iNET image, inc.! 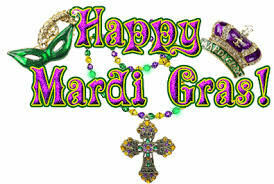 Happy Mardi Gras from all of us at iNET image, inc.! Have fun and be safe! 2015: The Year of YOUR Website! Make 2015 the year your website becomes spectacular! We offer complete website solutions for all sized budgets and businesses. Your website can be mobile-friendly with our Mobile Connect option, we can help you out with Search Engine Registration, Email marketing, Social Media, and much more...we do it all! We also feature frequent specials, so be sure to always check us out, we're here for you, and to make your website the most powerful it can be. Louisiana residents, are you looking for Mardi Gras parade schedules? Check out www.lagumbo.com, we've got a full schedule posted on our Mardi Gras Page! 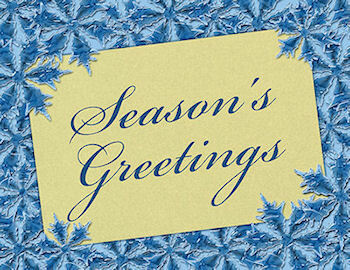 Happy Holidays and a fantastic New Year from all of us at iNET image, Inc.! We're very excited about 2015, in which we'll be offering our wonderful clients exciting new services, products, specials and more! It's going to be a great year! As of 11/5/2014 iNET image, Inc. purchased and took possession of the domain iNETimage.com. This domain was allowed to expire by the previous owner and was purchased through a GoDaddy public auction. Prior to this date this domain was owned by and business conducted by companies other than iNET image, Inc. which we had or have no affiliations with. iNET image, Inc. takes no responsibility for products or services provided by previous owners of this domain, further, we will not honor any warranties or provide any type of refunds or financial compensation for any transactions not provided by iNET image, Inc.. In addition iNET image, Inc. will not provide any assistance or information to anyone trying to recoup monies or product warranties from business conducted by previous owners of this domain. iNET image launches iNET RealTime 7.3. This version features a new, enhanced rich text editor throughout the interface and is cross compatible with all browsers, including Mac, Windows, Windows 7, Windows 8, Chrome, Safari and Firefox. Version 7.3 puts complete control of website content in the hands of the client with new displays of features such as the Photo Gallery and Catalog along with increased options and plug-ins such as dynamic calendars, Mobile Connect, blogs and more. Contact us using our websites at the address below: click here. iNET image is excited to announce the launch of iNET RealTime 7.2. This version features a new, enhanced rich text editor throughout the interface and is cross compatible with all browsers, including Mac, Windows, Windows 7, Windows 8, Chrome, Safari and Firefox. As with previous version, Version 7.2 puts complete control of website content in the hands of the client. Stunning new displays of features such as the Photo Gallery and Catalog along with increased options make it right choice for companies who want to display up to date information to their clients. The iNET Mobile Connect promotion has been extended one month, to end in July. Hurry to get this great deal. $100.00 off for existing customers! 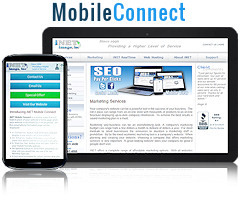 iNET Mobile Connect is a mobile page that will load in place of your website's home page when your website is accessed by a smart phone. For iNET customers with a value or higher hosting account, there's no additional fee for Mobile Connect! If you have question contact us, click here. The iNET RealTime Section Page Plug-In Version 7.1 can be installed on any main page. When enabled, the user can add as many section pages as he/she wishes to that main page. The new section page will be linked to the main page automatically. This feature allows the webmaster or client to create an unlimited number of pages to the website. Some practical uses of section pages would be a FAQ section, a product showcase, an articles section, a support section, etc. Section pages are complete webpages that look and feel like the rest of your website. Text, images, documents, email addresses, tab browsing, and more can be includes it each page. The section pages allow the user to add meta tag information for search engine placement. This feature is unique to the iNET ReslTime System and gives the user the ability to turn a 5 page website into a 50 or 100 page mega site. Get a free iNET RealTime plug-in with any new website and save up to $250! All RealTime plug-ins are fully updatable from any pc. Your website will be a powerful tool for your business! Special Offer #1000214 For more details click here. If you have questions, contact us, click here. The iNET RealTime Photo Gallery Plug-In Version 7.1 allows you to showcase and organize events, services, projects and more. The Photo Gallery app is simple to manage from your PC, displays 3 different size views for each image, allows you to add photo descriptions and organize your photos in categories and subcategories. The app allows unlimited galleries and photos and the ability to view photos one at a time or in a slideshow. The app is available in 3 different layouts, includes automated upload and is designed to display on your smart phone and be integrated on your Facebook page. Happy Holidays from all of us at iNET image, inc! Get your Business a Head Start on 2014 with iNET's Complete 5 Page Website Package! With the economy improving and businesses booming, it's important for your business to have a successful web presence. With this great offer, you can get a new website or spruce up a current one. This limited time offer includes website construction and hosting, free domain name, server setup and configuration, search engine registrations and iNET's RealTime Content Management System. Hurry! 2014 is right around the corner and you'll want to be prepared! The iNET RealTime Dynamic Calendar Plug-In Version 7.1 is excellent for organizations that want to post ongoing events, projects with deadlines, and more. Events added to the calendar display by date, and when selected more detailed information, such as time, place, fees and other information is displayed. The calendar can be featured on your website in either a list view or calendar view. If you have question contact us. click here. for items, and much more. 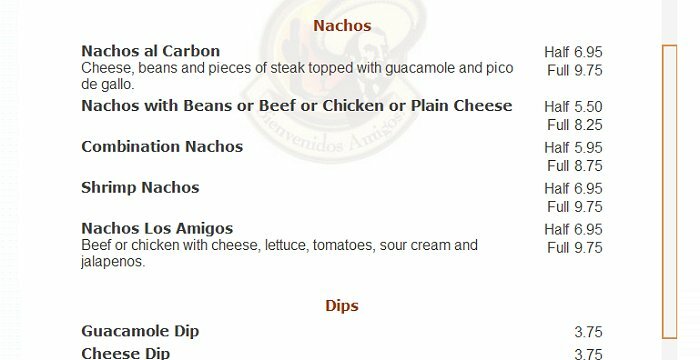 The RealTime Restaurant Plug-In is the perfect solution to manage and present your restaurant menus. This latest major addition to iNET RealTime is beginning beta testing and will be available in early October. iNTRA Office is a full featured Intranet for businesses of all sizes. Communicating from office to office or location to location anywhere in the world just got easy. 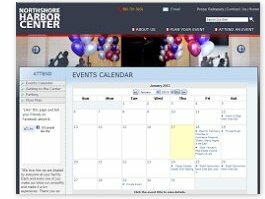 Schedule company events with use of the interactive company calendar. Share personnel contact data, company forms, links, images, and much more. Organize committees and meetings and add documentation for each. iNTRA Office is secure using htaccess one of the most bullet proof user name password interfaces on the Internet. Optional encryption is available to protect data in transit. Low cost, versatile, powerful, and customizable makes iNTRA Office a great communication tools for your business. iNET image is excited about the launch of iNET RealTime 7.0. The new version has many new features and as with previous version puts complete control of websit content in the hands of the client. Stunning new displays of features such as the Photo Gallery and Catalog along with increased options make it right choice for companies who want to display up to date information to their clients. Due to hurricane Isaac our office is working on emergency power. The office is closed until ATT fully restores our phone service and local internet service. All our internet servers and services are working with no problems. At present we are responding to website functionally problems only. 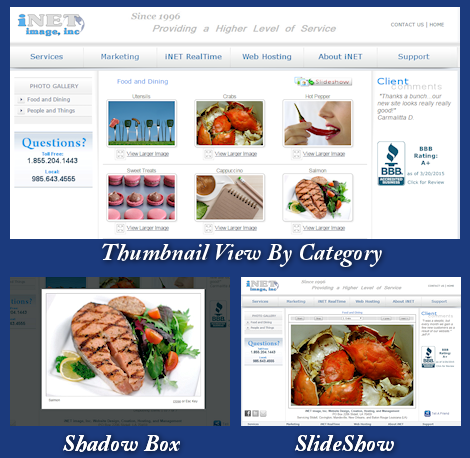 iNET image, Inc. Announces our latest search engine optimization for your new website. This new dynamic service is included with all new websites at no additional charge. First, meta tag description, key words, and page title are custom formatted to promote your website's information. Second, we create xml, html, ror, and text interactive site map files then upload them to your server account. Third, we create a registration account for your site with Google, Bing (MSN), and Yahoo. Your site map information is then submitted to each, this will assure that you website is reviewed and ranked by each of the search engines. 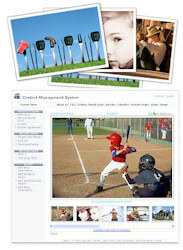 For more information, visit the iNET image, Inc. website at http://www.inetimageinc.com. iNET image, Inc. Announces the Release of iNET RealTime System v6.3.1 , Content Management System. The new version of iNET RealTime features the addition of section pages. With this plug-in the user can add an unlimited number of new pages to each main page. This creates an expanded section with the new pages being linked automatically. This feature can be used to showcase services, product lines, customer comments, etc. Each new page can then be edited, archived, or deleted. This latest version adds numerous user advantages and upgrades. The new version features an all new interactive RealTime Calendar, Catalog system upgrades, an archive feature on all plug-ins as well as with the core webpage interface, and much more. iNET image, inc. will feature the iNET RealTime System in its website packages, custom built websites, and as plug-ins for existing websites. iNET Real Time System v6.0 Gives Clients Complete Control of their Website Content with the ease of our new rich text interface. SLIDELL, La. - - iNET image, Inc. has announced the release of the iNET RealTime System v6.0, a client controlled RealTime System. This latest version builds on the powerful 5.3 kernel with the addition of improved editing tools. With our new rich text editor updating your pages is as simple as using your favorite word processor. The new system gives you added control of the look of your pages with the ability of adding pictures, pdf documents, tables, hyperlinks and more. SLIDELL, La. - - iNET image, Inc. has announced the release of the iNET RealTime System v5.3, a client controlled RealTime System.� This latest version the iNET RealTime System gives complete control of website content to the client using our simple form submit interface.� The new iNET RealTime System features dedicated handling features for retail sales, real estate listing, automobile listings, gallery displays, restaurant menus, wholesalers, and more to enable the client to have complete control of their website content. For more information, visit the iNET image, Inc. website at http:/www./inetimageinc.com.